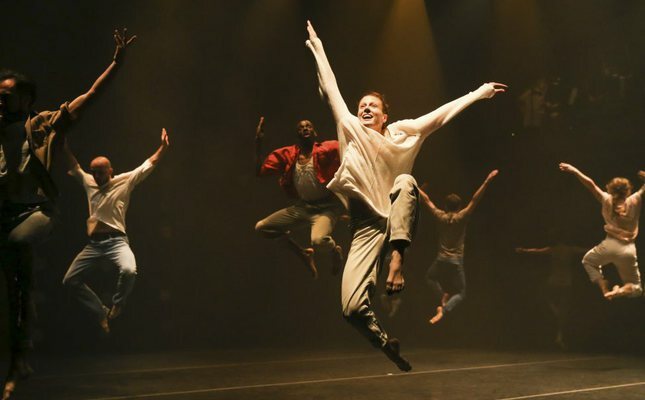 New York-based David Dorfman Dance Company and New York-based Turkish choreographer Korhan Başaran presented a modern dance performance titled "Unsettled" on Monday at the Zorlu Performing Arts Center. The event was performed with the cooperation of David Dorfman's dancers, Korhan Başaran's dancers and guest dancers from Armenia, Davit Grigoryan & Karen Khachatryan. Organized by DanceMotion USA, a cultural diplomacy program run by the Brooklyn Academy of Music, the "Unsettled" modern dance performance focuses on reconciliation of people. Dancers from Turkish, American and Armenian origins examine the nature of saying "sorry." They question the long-lasting dilemma of apology through an intense show. The performance attempts to honor their cultures and promote mutual love among humans. The dancers from various ethnic origins emphasize the rises and falls of human beings, without discriminating between races, languages and genders. As part of the DanceMotion USA 2014 tour, David Dorfman Dance visited Turkey for a series of dance performances and workshops last year, including an open demonstration/performance with Korhan Başaran & the Artists as well. Additionally, the show has been performed in Armenia's Yerevan as well as in Tajikistan. Famous choreographer David Dorfman stated after Turkey's performance that the show has garnered great attention everywhere it has been performed. Korhan Başaran also said that the show in Yerevan was full of empathy and sensitivity. For that matter, the show is a successful symbol of peace-making.